Home Orphanage Orphanage in Laguna. 1. Ang Bahay Parola, Mission to the World Philippines Foundation Inc.
A child welfare agency for Filipino street children which aims to protect them from any form of abuse, uphold their rights, and promote their best welfare and interest. Ang Bahay Parola is an NGO facility supporting children abandoned by their parents, families facing financial difficulties. Admission is available from Children aged 7 – 18 yrs old; boys and girls are housed separately; boys are sent to Ang Bahay Parolo in Bacoor. 2. 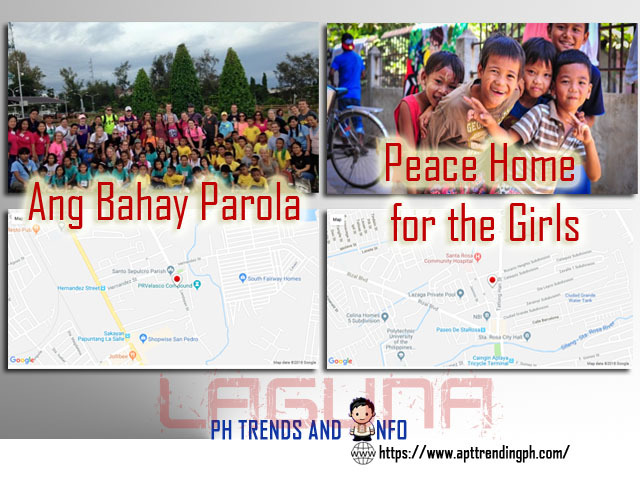 Peace Home for the Girls, Ang Bahay Parola is an NGO facility supporting Children abandoned by their parents, families facing financial difficulties. Admitting children aged 7 – 18 yrs old; boys and girls are housed separately; boys are sent to Ang Bahay Parolo in Bacoor.